In 1903, Ventersburg became a municipality. 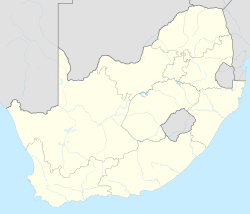 On 5 December 2000 it was incorporated into the Matjhabeng Local Municipality along with the city of Welkom and the towns of Allanridge, Hennenman, Odendaalsrus, and Virginia. Under apartheid, many black residents lived outside Ventersburg in Mmamahabane, an extra-municipal township. The location has since been expanded into a second district, Tswelangpele. ^ a b c d Sum of the Main Places Ventersburg, Mmamahabane and Tswelangpele from Census 2011. 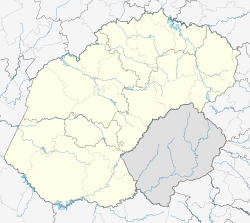 Wikimedia Commons has media related to Ventersburg.